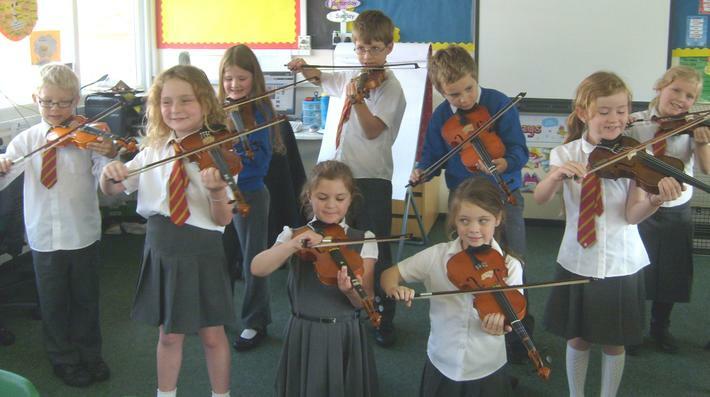 All of Year 3 have been enjoying their violin lessons with Mr Moss. Within 3 weeks they are now comfortable with 4 notes. They have already learnt how to bow. We are looking forward to their first performance at Christmas.